The original album still sounds terrific. The 11-minute “In My Time of Dying” offers a potent example of Led Zeppelin’s trademark combination of blues and rock while the majestic “Kashmir” finds the group taking a successful side trip into Eastern-influenced music. The folky “Black Country Woman” delivers an irresistible groove as does the hook-laden “Houses of the Holy.” Other highlights include the psychedelic-sounding “In the Light,” the brief acoustic instrumental “Bron-Y-Aur” and the funky “Trampled Under Foot.” Throughout, the album benefits from Robert Plant’s inimitable wailing and Jimmy Page’s concise, elegant guitar work, which ranges only from excellent to astonishing. 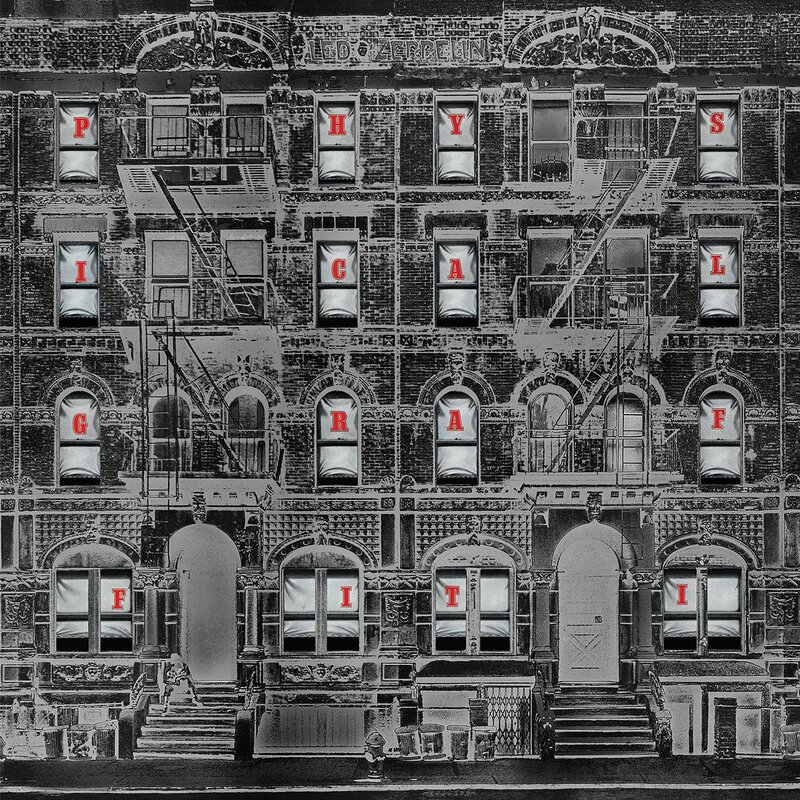 There’s no big leap forward here from the first five albums; but Physical Graffiti demonstrates the full range of what the group could do and it shows them at their best. If you like Led Zeppelin but don’t own this music, you should. If you’re a fan and are old enough to have been around during the group’s heyday, on the other hand, you probably already have Physical Graffiti, which has sold upwards of eight million copies. In that case, the question is whether to upgrade and the answer may be a bit difficult to determine. The remastering constitutes a noticeable improvement, at least on a good sound system, but I wouldn’t call it a revelation. As for the 41-minute bonus disc, it should prove consistently interesting to serious fans, but you won’t have trouble figuring out why the band opted to further refine the versions it contains. The tracks labeled “rough” sound, well, rough, at least by comparison with what wound up on the official 1975 album. Given the price of the reissue, though, it seems you’re not really paying anything extra for the bonus disc.